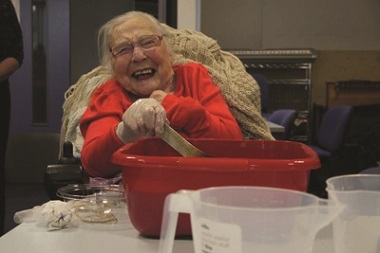 Milestones Trust and UWE Bristol have launched a ‘Creative Club’ in which vulnerable adults from the Trust undertake creative projects with support from UWE students. 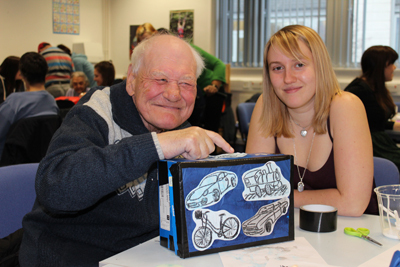 Members of the Club attend weekly classes at Frenchay campus, where students have designed a number of activities for them. These include tie-dyeing t-shirts, making pin-hole cameras, trying screen printing, making coasters and doing collagraph printing. They are supported to do this by 12 students, who have volunteered for the roles. The Club was set up as a result of a community partnership between UWE Bristol and Milestones Trust, which is designed to help students integrate into the local community as volunteers and to give back to the community. The initiative also gives service users the opportunity to visit a university campus and be a student for a couple of hours – a new experience for most. “I like coming to Creative Club as I like trying new things and I can keep what I make in my scrapbook,” says Wilf Maule, a member of the Club. 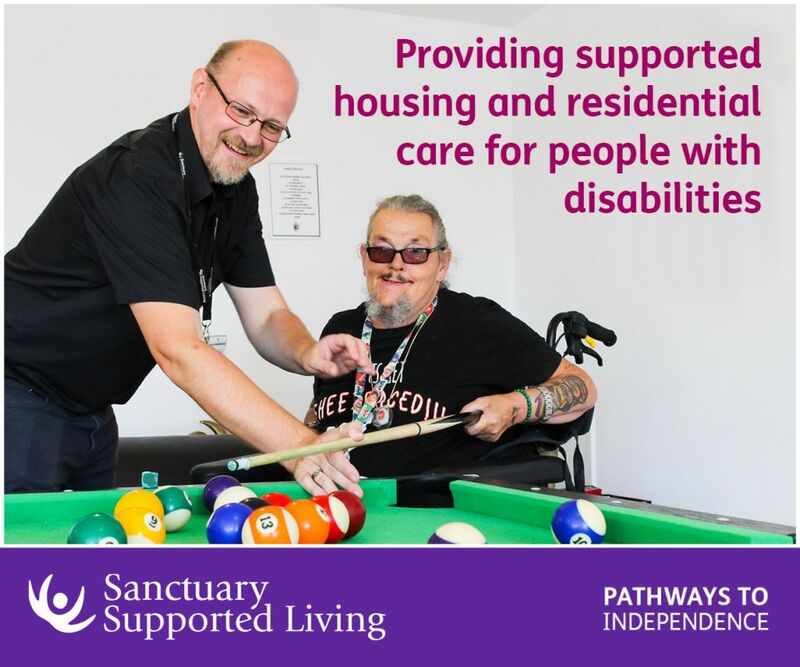 The six week pilot course is the first joint venture between the University and the Bristol-based charity, which supports people with learning disabilities, mental health needs and dementia. Be the first to comment on "Milestones Trust and UWE Bristol launch Creative Club"